Indianapolis, IN, January 13, 2018 --(PR.com)-- Biologics​ ​Modular,​ ​LLC​,​ ​the​ ​industry​ ​leader​ ​in​ ​design​ ​and​ ​manufacturing​ ​of​ deployable ​modular​ ​facilities ​ ​announced​ ​a​ ​strategic​ ​move​ ​to​ ​more than​ ​double​ ​its​ ​available​ ​manufacturing​ ​footprint​ ​in​ ​central​ ​Indiana.​ ​This move will allow the growing company to operate much more efficiently with the bulk of the critical activity now occurring within its own controlled space. Biologics Modular’s DeployReady platform implements the parallel path strategy, thereby​ ​offering​ ​inventive​ ​alternatives​ ​to​ ​the​ ​conventional​ ​issues​ ​that​ ​arise​ ​with​ ​other​ ​more​ ​common​ ​building practices. 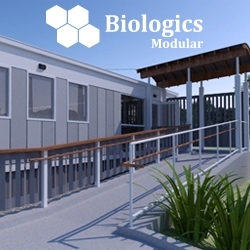 Biologics​ ​Modular​ ​also plans​ ​to​ ​appropriate​ ​the​ ​additional​ ​space​ ​to​ ​further​ ​diversify​ ​their​ ​manufacturing portfolio.​ ​While​ ​expanding​ ​their​ ​clean​ ​room​ ​production​ ​capacity,​ ​Biologics​ ​Modular​ ​will​ ​also​ ​focus additional​ ​space​ ​on​ ​R&D​ ​and​ ​it’s​ ​latest​ ​initiative,​ ​DeployReady.​ ​DeployReady​ ​offers​ ​higher​ ​cost predictability,​ ​less​ ​waste,​ ​flexibility,​ ​shorter​ ​time​ ​to​ ​market,​ ​and​ ​standardized​ ​solutions​ ​with customizations.​ ​ These​ ​modular​ ​builds​ ​will​ ​establish​ ​a​ ​new​ ​and​ ​innovative​ ​method​ ​to​ ​deliver​ ​onsite occupational​ ​health,​ ​performance​ ​evaluation​ ​tests,​ ​and​ ​primary​ ​health​ ​care​ ​in​ ​a​ ​deployable​ ​onsite​ ​unit. About​ ​Biologics​ ​Modular​ ​LLC​:​ ​Biologics​ ​Modular​ ​is​ ​a​ ​life​ ​sciences​ ​solution-based​ ​company​ ​located​ ​in Brownsburg,​ ​IN.​ ​Incorporated​ ​in​ ​2009,​ ​the​ ​company​ ​designs​ ​and​ ​manufactures​ ​GMP​ ​modular​ ​clean​ ​room facilities​ ​to​ ​serve​ ​as​ ​bio-manufacturing​ ​suites,​ ​self-contained​ ​bio-repositories,​ ​and​ ​analytical​ ​laboratories for​ ​health​ ​science​ ​service​ ​providers,​ ​educational​ ​facilities,​ ​and​ ​pharmaceutical​ ​manufacturers.​ ​More available​ ​at​ www.biologicsmodular.com​. 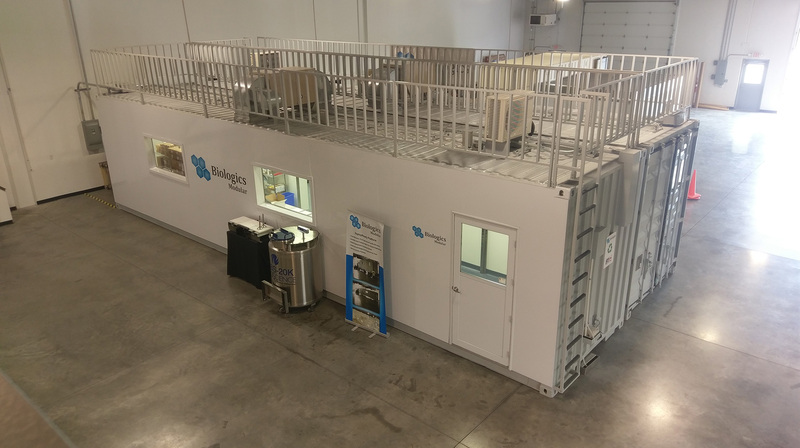 Biologics' pre-constructed, modular clean-room suites and bio-manufacturing suites, operations can be set up quickly and cost-effectively.